Fifty years after the NAACP field secretary was assassinated for his work to expand the vote, a new report reaffirms that his sacrifice was not in vain. For the first time in history, African Americans voted at a higher rate (66.2 percent) than non-Hispanic Whites (64.1 percent). According to the U.S. Census Bureau, black turnout increased by 1.7 million compared with four years earlier, and the Latino and Asian communities saw enormous increases as well. This is exciting news. It puts to rest any notion that communities of color would fail to replicate their record turnout in 2008, which was hailed as the most racially and ethnically diverse electorate in history. As we look forward to 2014 and beyond, we need to consider what worked and how we can build on our momentum. The most important takeaway is that this was no accident. Some may argue that the surge in turnout was purely a fluke, fueled by excitement for a black candidate and pushback against voter suppression. Surely, both factors helped motivate people of color. But the historic numbers came from a much more organic and replicable reason: voter registration and Get Out the Vote efforts. The 2010 midterm elections were a wakeup call. Over the next two years, the NAACP developed the largest voter registration campaign in our history. We deployed 2,300 volunteers across fifty states; trained 1,000 database experts in 600 communities; and complemented our boots on the ground with social media and a robust mail campaign. By the night of November 6, our volunteers had registered 374,553 voters and mobilized 1.2 million people to turn out at the polls. In Florida alone, the NAACP and our partners registered over 100,000 voters – nearly twice as large as the margin of victory in that state’s presidential race. In the end, the NAACP was the most successful organization in the country for door-to-door voter registration, and third most successful overall, trailing the Voter Participation Network and Rock the Vote. We set the bar high, and we must continue to exceed it – even when the presidency is not on the line. In 2013, thousands of state and local elections will decide everything from county health commissioners to local boards of elections. Next year, a total of 36 governorships, 468 seats in Congress, and thousands of state legislators are up for election. The winners of these contests will make critical decisions about public education, criminal justice reform, voting laws and labor laws. They can either move our country forward or bring it backward. In the months and years ahead, the NAACP will rekindle our campaign to make sure voters are registered, engaged and active in upcoming elections. We will continue to train our army of volunteers in methods old and new. You can be a catalyst for change by contacting your local NAACP unit and volunteering as a civic engagement activist. As Medgar Evers said, “Our only hope is to control the vote.” In 2012, we did just that, and we proved that organized people can beat organized money every time. If we continue to act with the “fierce urgency of now”, we will continue to make history. If we become complacent, we risk letting our nation’s ugly history repeat itself. 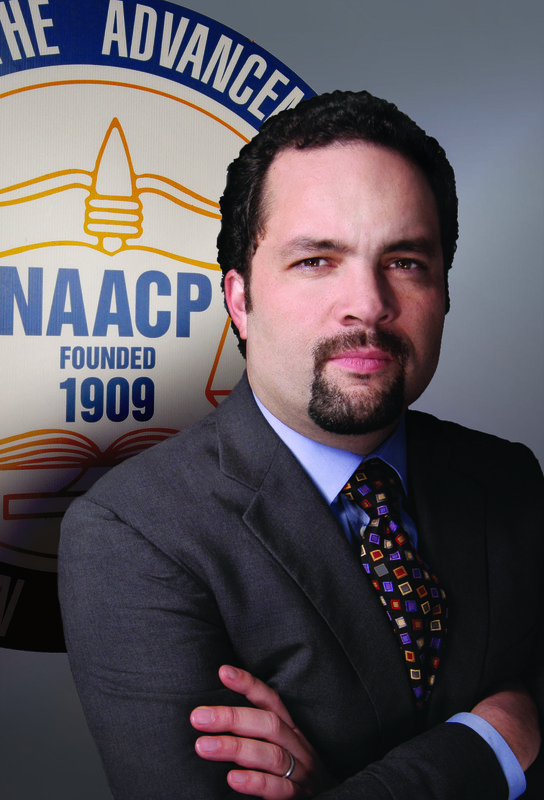 Ben Jealous is president/CEO of the NAACP. Contact: Ben Wrobel, 917-846-0658, bwrobel@naacpnet.org.